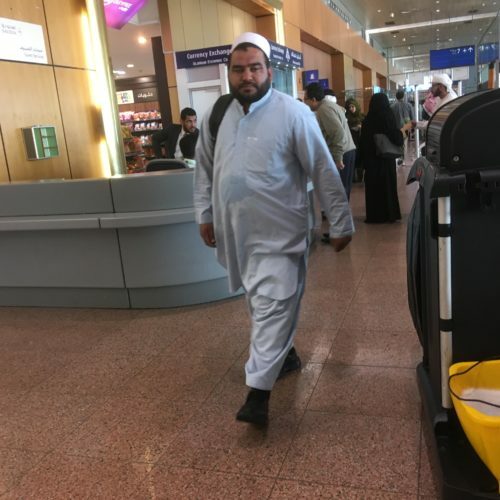 Not Verified | Having a pleasant journey with the Saudia airlines who couldn't do enough in the way of hospitality my experience was ruined by the airport staff. To think this is an international airport not one spoke a word of English. Absolute arrogant set of staff from the baggage handlers to the check in crew. The queues were laughable and they couldn't care less. They would just stare at you and then resume their flirting with each other. Not one person was willing to even give a smile. Utterly disgusting set of employees. ✅ Trip Verified | Avoid South Terminal like the plague. How can a national airline use a terminal so small? Arrivals - 25 minutes bus from plane to terminal. 2 hours from exit plane to exit terminal. Taxi drivers are thieves fully supported by airport staff. Customs staff wanted to know why I had a book in my carry on luggage for a 12 hour flight! Departures - Long queues at check-in and immigration due to staff all watching football match on their phones. Business class queues 10 times longer than economy class and not moving. No business class lounge for business class travelers but an empty first class lounge. Seating for less than 1,000 people. 2 overpriced coffee shops with seating for 20 customers only, which was of course full up. Deafening PA system. Only 1 ATM machine that doesn't accept international ATM cards. 1 smoking area the size of a phone booth. Of course nobody uses toilet paper so it's not supplied. No free wifi without supplying phone number which leads to cosmic amount of garbage advertising messages. Bus got to aircraft then had to wait 20 minutes until plane was ready to receive passengers. Absolute joke of an airport. ✅ Trip Verified | This airport is overcrowded and has many unsanitary conditions. Less than 10 toilets bowls each for male and female. Avoid the international terminal at all costs. "have never seen such filth"
✅ Trip Verified | Only two words are necessary to describe this place - cold, pigsty. I have never seen such filth at an airport in my life. And I went there right after a trip to India, so that's saying a lot. Avoid this place at all costs! PS - if you do come here, bring your own toilet paper. ✅ Trip Verified | It's the worst airport ever I've been. It's dirty, noisy, uncomfortable. We had a transit flight in 8.5 hours and it was like a hell. Toilets are wet and messy without toilet paper. Advice: almost immediately after you enter the airport there is a lounge waiting zone. You are eligible to stay there if your transit is more than in 6 hours. Unfriendly staff will try to kick you off but trust me - this area is way better than the main waiting zone. 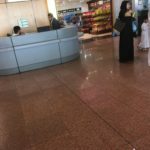 "arrogant and rude immigration staff"
Not Verified | We flew from Istanbul to Mauritius and was for the first time to Saudi Arabia and was expecting an airport in the same league as Dubai but wow was I disappointed. The most arrogant and rude immigration staff that I have ever encountered in my life. "I had no seat to relax on"
✅ Trip Verified | Worst airport. Transit area is very very small. I had a transit of 10 hrs and for 6 hours I had no seat to relax on. I had to stand for 6 hours because all seats were occupied and I did not wanted to sit on the floor. Toilets were very dirty. There are a few food shops with decent food. There are a few reclining seats to sleep on, but they are always full with people waiting for them to get free. Seats though do not have arm rests, so you can sleep on the seats if they are free. Wifi is free and do not require a phone number to connect. I never complain, but this airport was too much. This is my first ever airport review. ✅ Trip Verified | It’s a painful experience, dirty, smelly and luggage waiting time took for ever. Dirty and wet toilets, place is full of mosquitos, if you can avoid it then avoid it. "toilet was wet, smelly and dirty"
✅ Trip Verified | Was transiting in Jeddah to & fro for my Singapore-Istanbul trip. 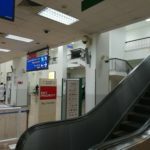 As a budget conscious female traveler, I had read the past horrifying reviews of the airport and was well prepared for rude staff, prejudice against female travelers, dirty toilets and limited seatings. However, my experience was rather positive. 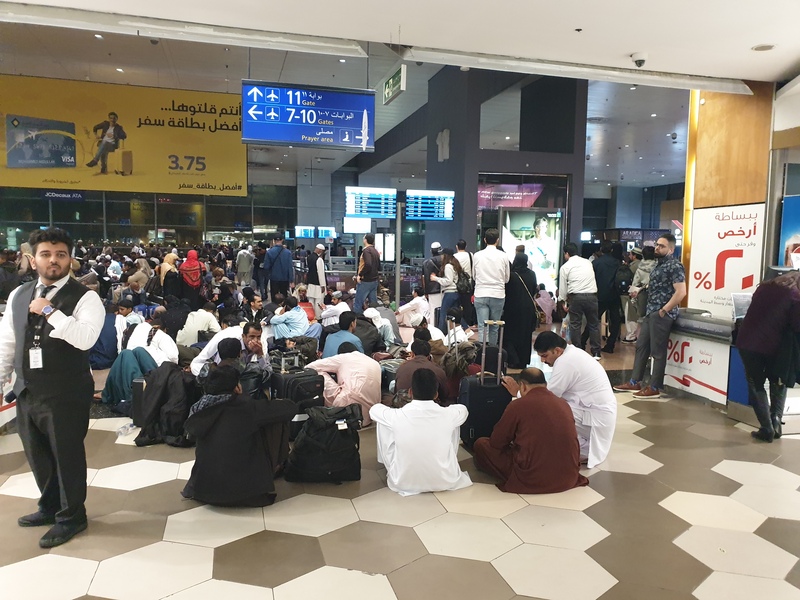 Upon leaving the aircraft a bus brought us to a terminal where a man was directing the travelers heading to Jeddah & transit passengers. The transit passengers were directed to a passport control/boarding pass checking place, where the staff just chopped my boarding pass without any problem and was rather polite and nice as he wished me a good holiday in Istanbul. We were then redirected to a security baggage checking place. It is true that only 2 lines were made available for women while 5 lines were available for men. However, in no way was I ever treated with prejudice or disrespected for being a female traveler. The security officials on guard even guided us to the nearest female security checking place. The security checking was over in about 15 minutes. 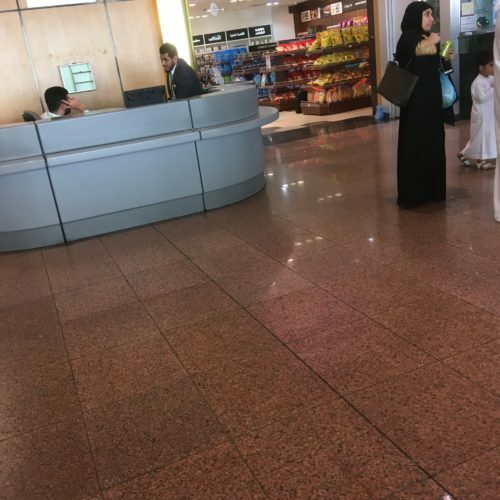 Afterward, we were greeted by a decently sized duty-free area selling, Arabic dates, cosmetic items, candies, and chocolate. I didn't plan to buy anything hence, I just walked out of the duty-free shop. The area after the duty-free shop is where the hustle and bustle begins. The small transit area was packed to the brim literally with people sleeping on the floor, standing aimlessly and crowding around the gate signages. My advice to survive this would be to buy a coffee or a small snack which was very affordable in one of the cafes. It is not necessary to have Saudi Riyala as I managed to pay using Visa. I then hogged the seat in the cafe for the remaining 9 hours of my transit time. The Wifi was bad/non-existent at times as it only allowed me to send or receive Whatsapp messages. The other unpleasant experience was the toilet. The toilet was wet, smelly and dirty but it was not the most dirtiest toilet I have ever used. It is possible to just tolerate the smell and do a quick trip to the loo. Another unpleasant thing is the constant screaming/loud announcements in the PA system in Arabic for the final calls of certain flights. It was not pleasant but tolerable and I even managed to sleep despite the loud announcements HAHAHA The business/first class lounge/Alfursan lounge looked pretty decent and was open to people for a fee of about $SGD 25. I didn't pay to enter the lounge as I managed to survive in the transit lounge. After my rather long hours of waiting, my boarding gate was reflected in the screen panels. We were once again assembled in an area and a shuttle bus brought us to our aircraft. 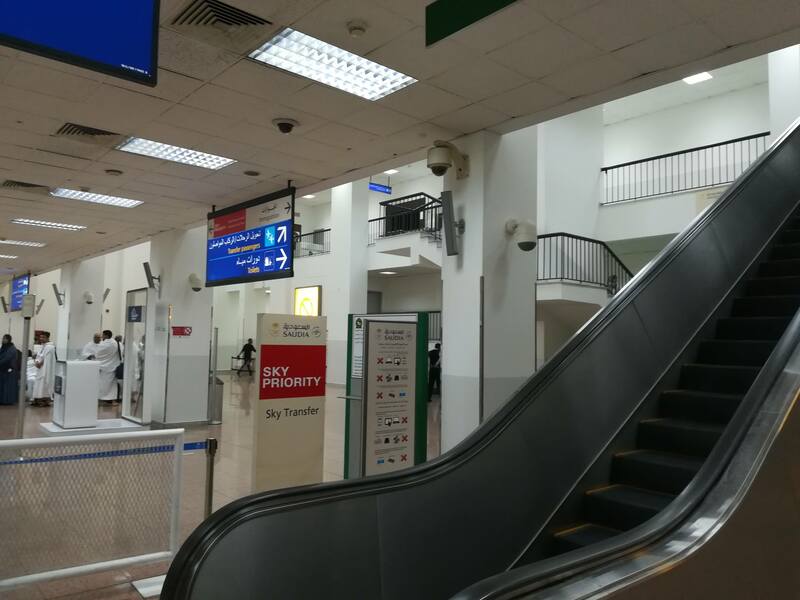 Overall, the transit layover wasn't very pleasant but was very much tolerable and very reasonable for the cheap price I paid for the airfare. 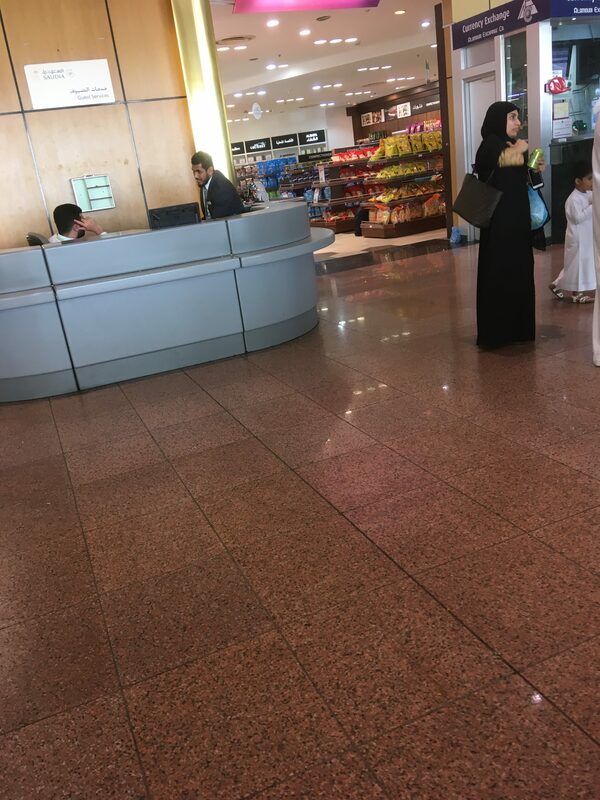 If you are someone who is on a tight budget, dont mind a little unclean/crowded place, have a short layover, Jeddah airport is tolerable. 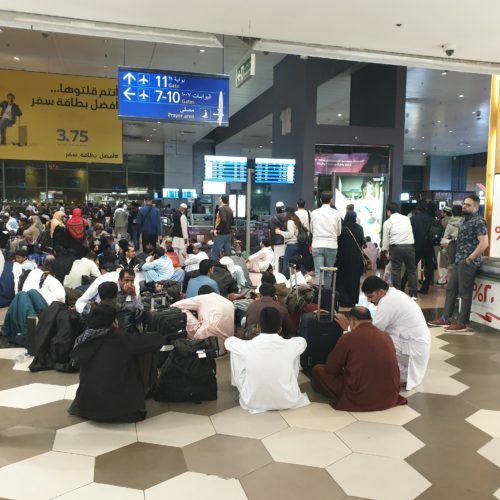 However, if you have money to spend, have an extremely long layover (more than 12 hours), cannot stand noisy/unclean/crowded environment it is best you avoid the layover in Jeddah. "Awful customer services and facilities"
✅ Trip Verified | Awful customer services and facilities. Ground staff and officials rude, no customer service skills and no respect for passengers. Toilet facilities awful, not clean - 1 flight to India + 1 flight to Bangladesh + flight to London make the facility overcrowded, queue line to WC, no seats or places to sit down. No places to get good, nice food. Transit services awful, if you do not have to do not use this airport, not advisable.